"Effective Management of Data Storage Resources"
Finding ways to control data storage growth and manage data effectively is one of the industry’s most important tasks. Though storage vendors regularly introduce new technologies to address this issue, the challenge in data storage management is to manage costs while ensuring the needs of the business continue to be met. 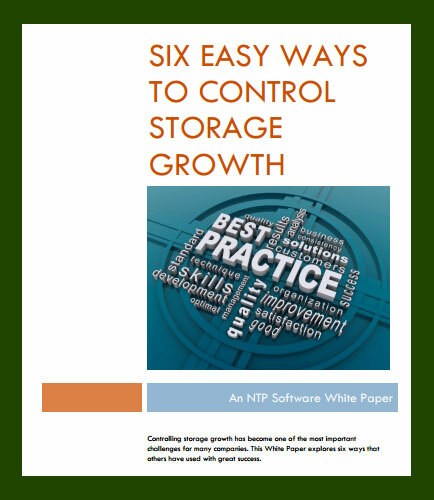 This whitepaper highlights the effective methods to control storage growth, their benefits and how you can profit from them. To implement cost effective storage management systems that are automatic and self- sustaining overtime. By introducing storage management policies and reducing the rate of storage consumption, the use of storage resources can be effectively managed. Download this whitepaper to acquire insights on implementing the below methods in controlling the storage growth. Charging the consumer accordingly for the consumption of resources. Increase user awareness and participation by triggering users and make them aware of their use of storage resources. Setting a limit on how much storage any one user can consume. Focusing on collecting appropriate data.